The HDPLEX 200W AC-DC is a fanless and capable adapter with tiny footprint. 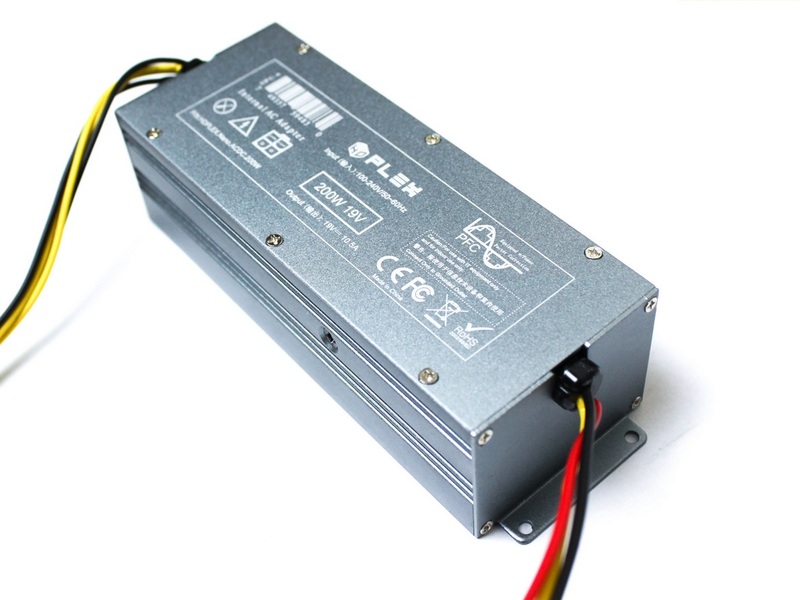 It is designed to be installed internally and outputs 19VDC. 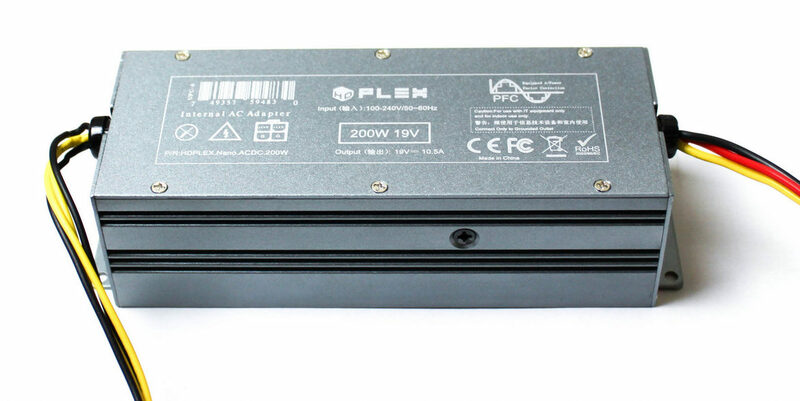 The HDPLEX internal 200W AC-DC adapter is designed for Thin mini-ITX and Intel NUC which accepts 19VDC input. 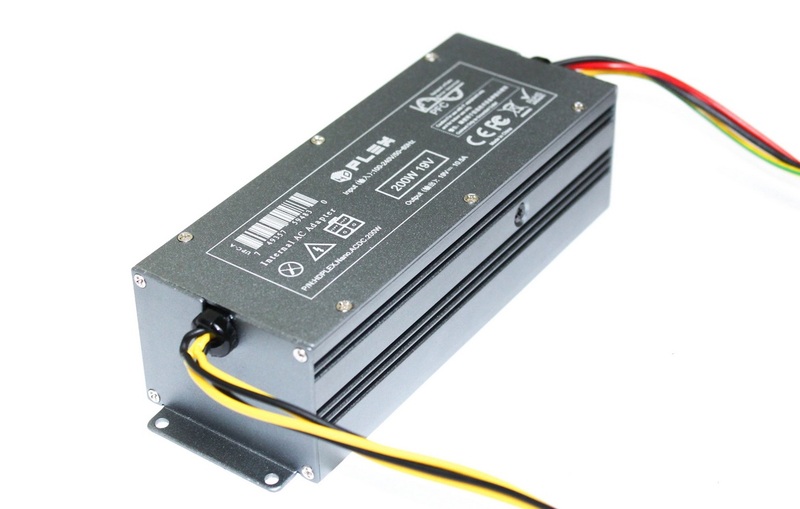 HDPLEX internal 200W AC adapter can also work with HDPLEX 200W DC-ATX Converter as a HDPLEX nanoATX combo for regular mini-ITX/microATX motherboard in low-mid level power platform. 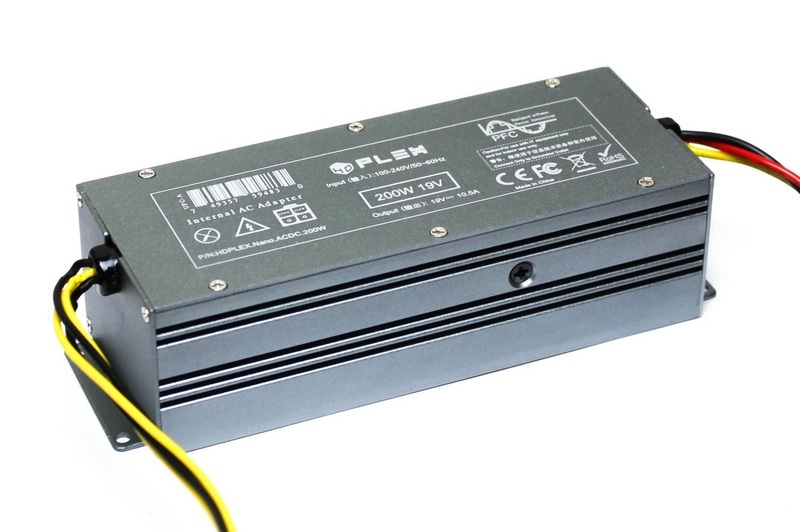 HDPLEX 200W AC-DC packages power performance in small foot print (149.5x52x40mm ). HDPLEX internal 200W AC adapter is supported by HDPLEX H1.S Fanless Computer case ,HDPLEX H3 V2 Fanless Computer case and HDPLEX H5 Computer case. It can also been installed in any PC case which support standard ATX power supply using the optional HDPLEX ATX bracket . HDPLEX internal 200W AC-DC adapter uses JST ELP-03V connector for detachable AC input. Two AC input cables are included. They are JST ELR-03V to C8 cable (for PC case with standard C8 cutout such as NFC S4M case) and JST ELR-03V to C14 cable for PC case with standard C14 cutout such as HDPLEX fanless PC case. Output Current: 10.5A at Full Load, 12.5A Peak. Output: 4PIN or detachable 2PIN molex male connector.